In 1911, following the fall of the empire, part of the Chinese Intellectual elite decide to turn to the West to modernize the country. From the 1920s, more and more artists went to Europe. Paris was to welcome artists as important as: Fengmian Lin, Xu Beihong, Pan Yuliang, Sanyu (Chang Yu), Zao Wou-Ki (Zhao Wuji), Yun Gee, Haisu Liu, Chang Shuhong, Hua Tianyou, Xunqin Pang, Chu Teh-chun (Zhu Dequn). From their stay in France resulted in a profound break with the Chinese artistic traditions: academic education offered by the Ecole des Beaux-Arts in Paris, marked sustainable artists who were educated as Xu Beihong, while painters included in the independent academies, such as Xunqing Pang, appear to be sensitive to the influence of earlier avant-grades. Finally, we must remember that Paris was also a point of departure to Europe. After their passage through the French capital, Lin Xu Beihong Fengmian stayed in Germany, Pan Yuliang studied sculpture in Rome and Liu Haisu undertook a grand tour he published in his notes on Europe. 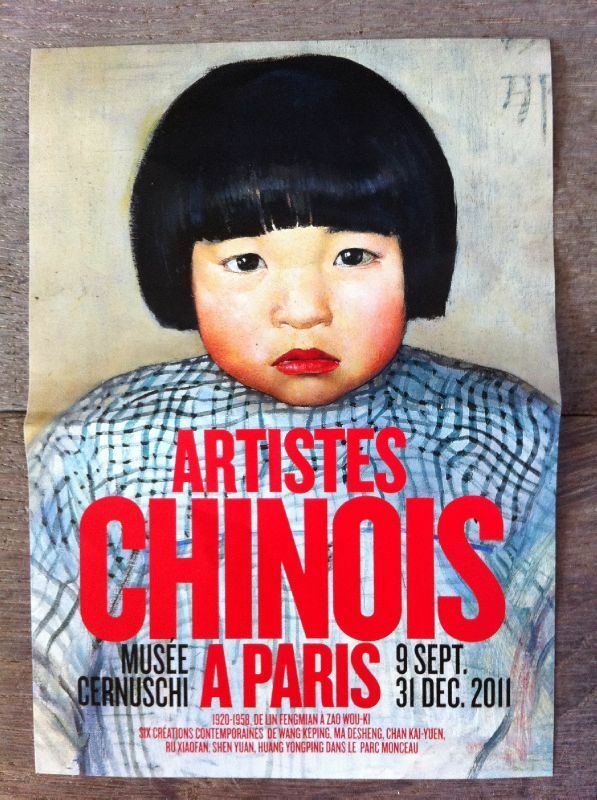 This experience affected Paris in the formation of a whole generation of Chinese artists. Upon their return to China, Lin Xu Beihong Fengmian played a decisive role in the reform of arts education. This creative alternative has allowed a generation of artists to be located immediately at the confluence of two cultural traditions. Among the students trained by Lin Fengmian, who would head back to France after 1945, the names of Zao Wou-Ki (Zhao Wuji), and Chu Teh-Chun (Zhu Dequn), are now inseparable from the Parisian art scene of the Twentieth Century.